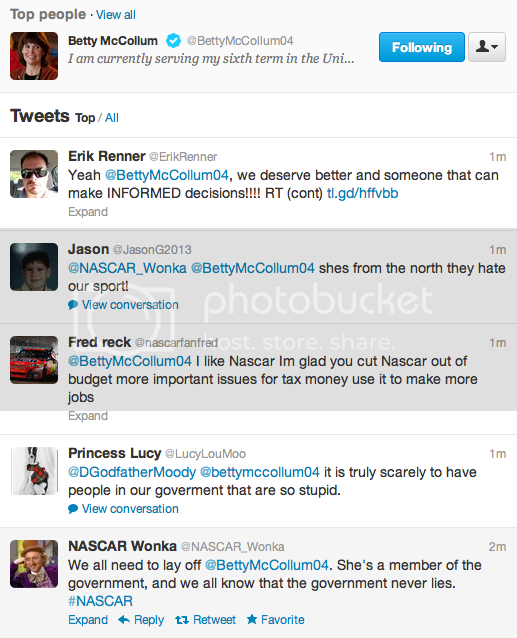 Just when you thought we were going to ease into the weekend, Congresswoman Betty McCollum has re-energized nascar fans, creating quite a firestorm on Twitter. Watch the feedback live here as McCollum, not content to have put an end to military sports sponsorship, continues to flame the debate with a stream of tweets on the topic. If Twitter breaks you'll know who to blame.